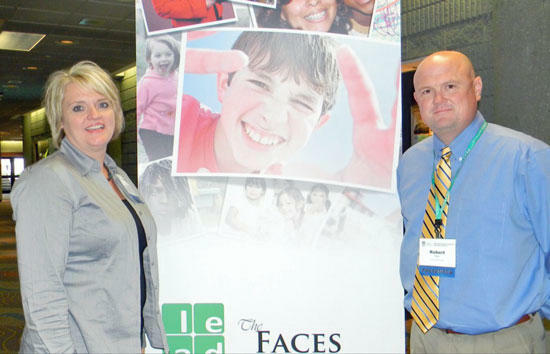 East Side principal Karen King, left, and West Side principal Robert Sain. For the third year in a row, Karen King and Dr. Robert Sain were selected to present a session at the Annual LEADership Conference in Nashville. LEAD is an administrative training conference for all Tennessee K-12 principals, supervisory personnel, and college level educators. This session included information on Family and Community Engagement (FACE) including activities to keep families involved and ways to fund those activities. The session concluded with all attendees sharing information about activities that have been successful in their systems. Those ideas were brought back and will be shared with the principals in our local system. Keep up the good work!!!! You both are GREAT Principals!